Socrates research papers examine one of the greatest philosophers of modern times. Paper Masters has many great research paper topic suggestions for writing on Socrates. These suggestions are all listed below throughout this page. Paper Masters can help you write a Socrates philosophy research paper. Socrates research papers show that Socrates was a man with a magical personality and an extraordinary character. His main influence were those that he debated against, and hence, learned from. The Sophists were the primary philosophical group of the day. Whereas the Sophists taught that the opinion of society was the basis for moral standards, Socrates research papers show that Socrates believed that it was by the use of reason that individuals can discover and understand the nature of existence and human nature, which was the grounds for moral standards. Do you think Socrates reasons for accepting his punishment were good reasons? Why or why not? Consider and respond to an objection to your view. In order to address these questions you will need to clearly explain all of the reasons Socrates entertains (including those he ends up rejecting). In addition, if you think Socrates has good reasons, you will need to identify which reason is the best reason and explain why you think this; if you think Socrates does not have good reasons, then you need to offer a better reason (to escape or to remain) and explain why your reason is better. Socrates offers what appear to be several distinct reasons to think that leaving Athens would be voluntary wrongdoing. Can you find one conclusive reason among them? Why do Socrates and Crito agree that one should never do wrong willingly? In Meno, Socrates claims that one cannot choose a bad thing if one realizes that it is bad. Do you agree? Discuss the relation between knowledge, correct opinion and virtue in Meno. Do you think that Socrates has made an adequate case for the view that at least some knowledge of general principles is innate? Is there a correct way to answer a What is it? question? If you think so, what is it.? If not, how can we confidently apply single descriptive predicates (e.g., virtue, regular pentagon, Douglas fir) to multiple objects? Why is the Gyges story an important challenge to Socrates efforts to defend the value of justice in Republic? Socrates was a man with a magical personality and an extraordinary character. He was hated by many because of his habit of challenging their way of thinking and their pretensions to wisdom, but he was also beloved by many. The writer of comedies, Aristophanes, mocked him in his play, The Clouds, where a very arrogant and pretentious Socrates is shown sitting in a basket and asking pompous questions like, “Do you really wish to know the truth of celestial matters?”, but he was greatly admired by Plato and other followers. Of course, it was Plato’s perception of Socrates, and his writings based on that perception, that was the most important contributing factor to the stature that Socrates came to enjoy. Annas makes the following point about Plato’s relationship to Socrates. She suggests that Plato’s ideas, ideas that he expressed through the mouth of Socrates were subject to change, but that the impression made upon Plato by the example of Socrates’ life did not change. “The most important facts about Socrates,” Annas states, “were that he lived, uncompromisingly, for philosophy…”. There is, in my opinion, a powerful insight contained here. If I correctly interpret this story its meaning is as follows. Knowledge is derived from enquiry. True enquiry can only take place when one is free of the presuppositions, assumptions, and biases that one has picked up from one’s environment, when the mind is clear and can ask real questions rather than simply make assertions based on assumptions which one has never questioned or closely examined. The first task of he who would like to engage in real enquiry, in a real pursuit of wisdom, is to look inward and to weed out the things one has previously accepted in an unthinking fashion. The beginning of wisdom is an essentially negative process, the realization of one’s own ignorance. I think that in discussing Socrates’ pivotal role we should not confuse him with Plato. Plato’s most famous and influential idea appears in the story of the cave in Republic; this is his theory of Forms. But, although Plato made Socrates his voice, we should not too closely identify the two with one another. We cannot know if Socrates, in fact, would have endorsed much of what Plato attributed to him in the later dialogues. Socrates’ role should be seen not in terms of his contributions to Platonic theory, but in terms of his advocacy of a spirit of free enquiry based upon an honest look at one’s own essential ignorance. The theory that Socrates was the wisest Athenian because he was the only Athenian who knew that he was not wise—that paradox is perhaps the aspect of his thought that most contributes to his importance in the history of philosophy. It is a call to us to honest and properly humble. In conclusion, I have argued that Socrates’ stature in the history of western philosophy was derived from his brilliant use of a method of argument that is still in use and now named after him, by his extraordinary character, and by his teaching that one must strip away one’s own assumptions and prejudices before starting out on the path of enquiry. Socratic Confession of Ignorance developed from the idea of dialogue that Socrates engaged in during his life. The Socratic Method research paper reveals Socrates rhetorical method of questioning. Socrates on Trial term papers explicates Plato's apology and the record of Socrates' trail. Greek Philosophers Research Papers examine the three philosophers Socrates, Plato and Aristotle and discuss their contributions to philosophy in history. Iliad and Meno research papers discuss Homer's The Iliad and Plato's Meno. Infallibility of Knowledge in Plato's Republic - Plato's discussion of knowledge in The Republic includes arguments for the infallibility of knowledge. Plato and Justice - In The Republic, Plato’s greatest dialogue, a search for the definition of justice occupies a prominent place in the discussion that gives the world the Theory of Forms, the Allegory of the Cave, and the idea of Philosopher Kings. Plato and the Soul Research Papers on the view of the soul, which is complex and encompasses aspects of dualism and the assertion that the soul is the ultimate beginning where the life itself originates. Plato's Theory of Forms research papers overview the concept of Forms expressed in Plato's The Republic. Plato and Aristotle research papers overview each philosopher's ideas on humanity and behavior. Plato's Apology Term Papers on the Nature of the Individual and Truth Plato's Apology term papers discuss the nature of the individual and truth. Order a research paper on Plato's Apology from Paper Masters. Plato and Socrates Research papers discuss why people often confuse Plato and Socrates. Symposium research papers discuss the dialogue by Plato in which Socrates praises love. 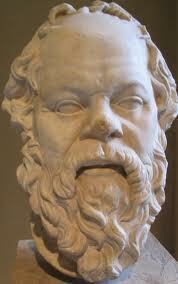 Euthyphro research papers tell of the dialogue that takes place when Socrates travels to court. Paper Masters writes custom research papers on Socrates and examine one of the greatest philosophers of modern times.